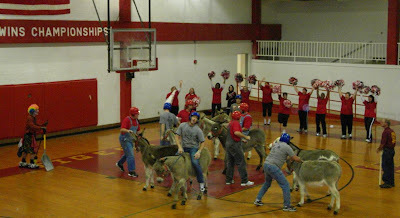 Saturday night the Terrell ISD PTO Council put on a donkey basketball show at the Terrell High School campus. 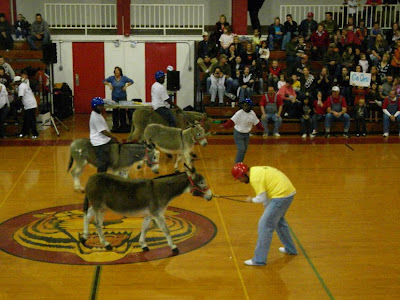 If you have never seen a game of donkey basketball, I suggest you check it out. 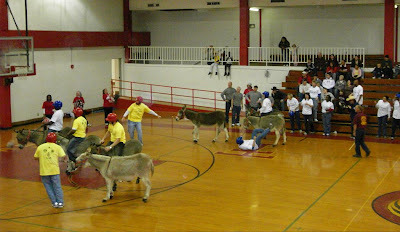 There was a lot of laughing and a lot of grimices when players fell of or got thrown off their donkeys. 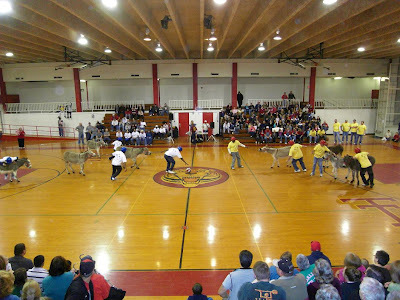 Click on each picture for a larger image. bribe his donkey to move.